The SPI Mold Classifications were developed by the U.S. Society of Plastic Engineers (SPE), with the intent of having a simplified definition of the type of injection tool for thermoplastics required for a set production need. These guidelines are intended to be just a reference that frequently further evolve, on a project by project basis or depending on the customer so that they better reflect what is required of a specific tool. 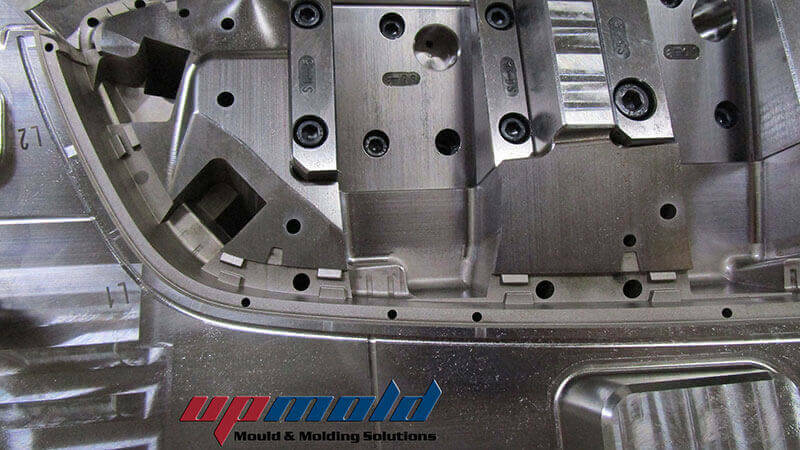 UPMOLD provides SPI mold classifications from class 101 to 105 molds and Injection molding. We all pledge our best effort to satisfy our customer’s needs regarding their expectations of quality, customer service, value, delivery and innovation. The following classifications are guidelines to be used in obtaining quotations and placing order for uniform types of molds. It is our desire through these classifications to placing order for uniform types of molds. It is our desire through these classifications to help eliminate confusion in the mold quote system and increase customer satisfaction. Customer is to approve mold design prior to start of construction. All molds are to have adequate channels for temperature control. Wherever feasible, all details should be marked with steel type and Rockwell hardness. Customer name, part number and mold number should be stamped on all molds. All molds and large components should have adequate provisions for handling, i.e., eyebolt holes, prybar slots, etc.